In movies and on television, occasionally they will use a clock that starts spinning faster and faster to illustrate time flying or life getting out of control. At this moment, I feel like our clocks are spinning faster and faster. Both Will and I are grabbing precious time with our friends as best as we can, but we cannot stop the clock. It’s moving season in Luxembourg. Moving season is the hardest season of them all! March and April were two months where the clock spun faster than ever. While work slowed down a bit for me, it was as busy as ever for Will. Thankfully, he was able to free up time to do lots of fun things during our time together on the weekends. Never let it be said we aren’t good at balance! March started not with a bang, but with a bark. Dexter the dog arrived to stay with us for a week. 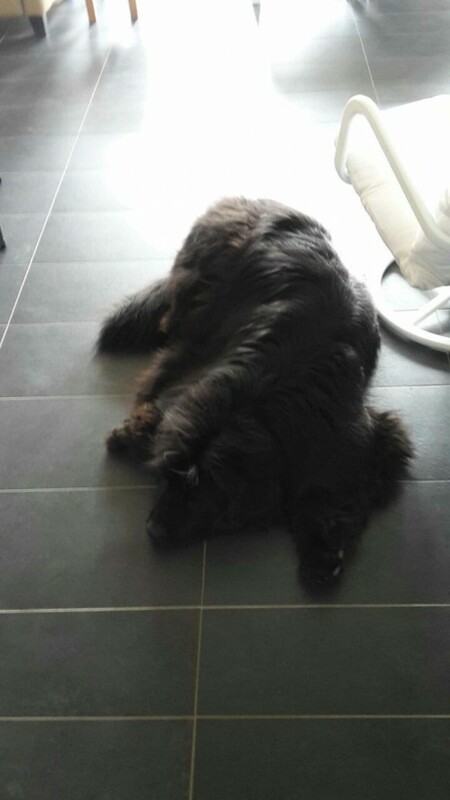 Dexter last stayed with us in June 2014 when he got to tag along with us while we watched the Tour of Luxembourg. This time we didn’t have any fun activities planned so he mostly hung out with us at home. Dexter loves to walk in the park and he would be terribly disappointed if we went out too late, as the park closes early in the winter. He never seems to comprehend why we didn’t just open the gate and go have fun! 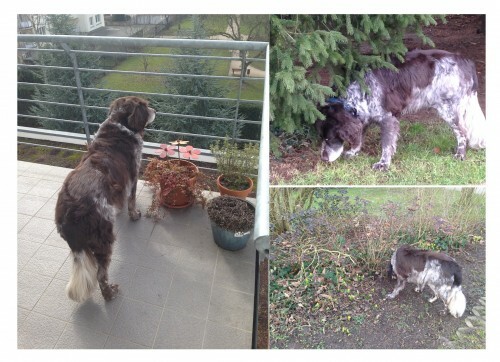 During his visit, Will did an overnight trip to Germany. Dexter and I invited Rachel, Henry, and Willow in for some fun in the city. Willow and Dexter are great friends and it was a pleasure to walk in for the market as a big group. Unfortunately, between two dogs, a stroller, and groceries, we did not get any good photos of the excursion. The second weekend in March we joined Rachel and Henry on a trip to the Black Forest for a few days. Happily, Jordan was able to join us at the end of the second day. Even better, Rachel has already blogged about the whole trip! I’ll add that Henry was a joy to be around and we were more than happy to help out with him during the mini-vacation. 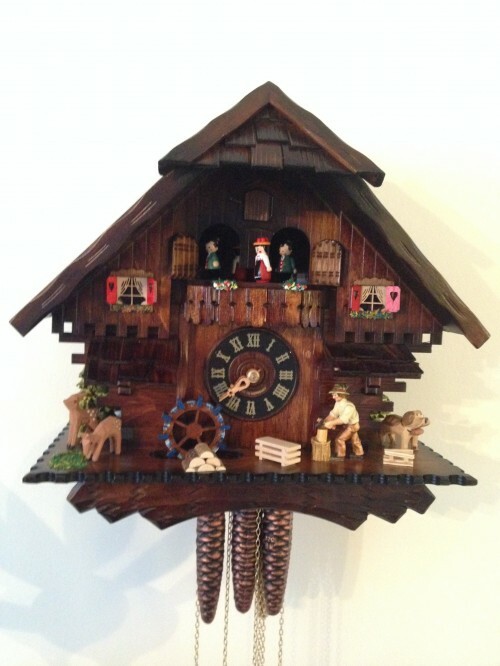 We also bought a cuckoo clock and have it hanging in our dining room. Will is not certain he likes the sound of the ticking clock, but I find it quite soothing. 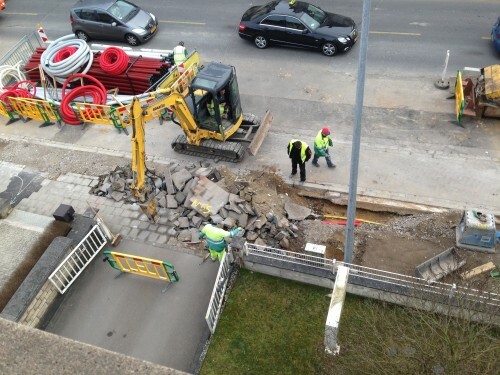 The construction in front of our apartment continued. March saw the sidewalk completely torn up. April saw it put back in. I will do a small dance of joy in 2020 when this construction project is finally done…. Earlier in the year, I had a chance to buy the board game Ticket to Ride at a cheap price. Will and I heard excellent things about the game and we were excited to play. Thankfully, our friends N and J liked the game too. 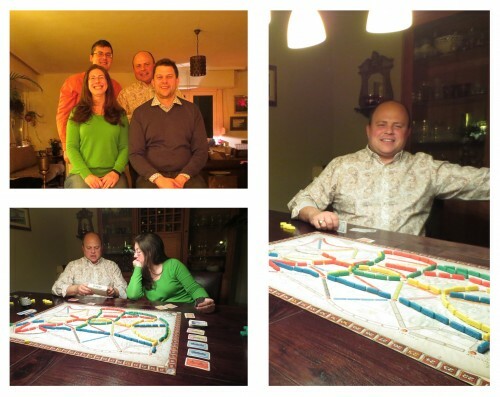 We were able to squeeze a game night in during March, when we played into the wee hours. We kept Will up a bit too late, because he was running on little sleep from poker the night before. It was a game weekend all the way around. Even though we are all competitive, game night is tons of fun! 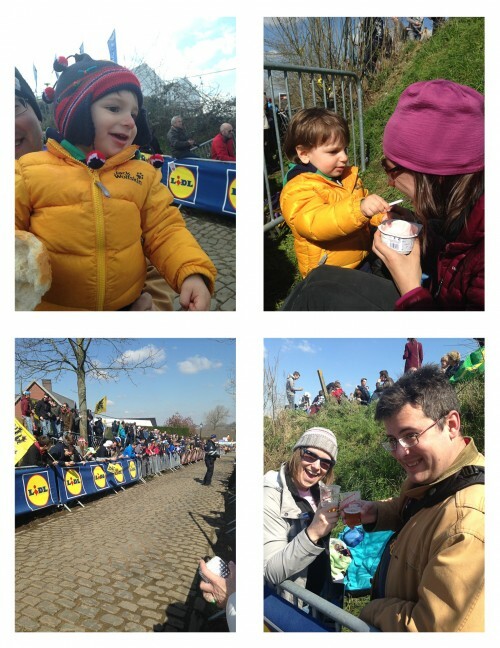 Two years ago, Will and Rachel went to the RVV (Ronde Van Vlaanderen) and had a fabulous time. When Rachel mentioned that she was going to go this year, I told Will that we were going too. I had enjoyed hearing the stories and wanted to have the experience for myself. I probably should do a whole separate post on the 2015 RVV, so I’ll just share a few photos for now. Henry was the life of the party! We saw the women go by once and the men three times. Will has the photos of the action, my photos are of the fun in between! In Random Happens 2 I told you about the painful experiences I have with my allergy to birch pollen. Today, I am pleased to report that the plan I outlined in 2014 worked perfectly in 2015. As soon as the birch pollen went insane, I immediately went to the doctor for my shot. I had one evening of itchy eyes and then I was cured. I cannot express the love I have for my shot. It really is a miracle. And finally…. in mid-April we said a fond farewell to J and N. Their time in Luxembourg came to an end and they moved onto the next new thing. We already miss them, but thanks to the magic of modern life we are able to keep in touch with reasonable ease. We did manage one last weekend of fun as they were on their way out, by traveling with them to Paris to see them off. 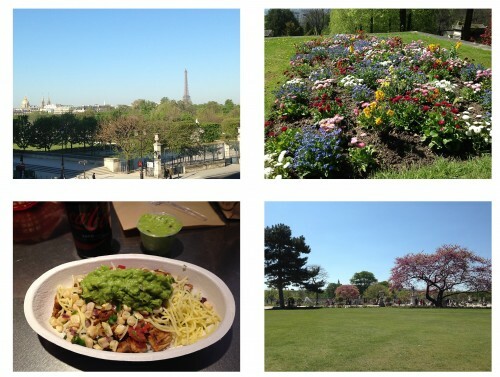 Paris did not disappoint – and neither did our company. We had a fabulous weekend seeing the city. The weather was amazing! Also, N found a hotel with a spectacular view. AND I got to have Chipotle! It was really a bit of a dream weekend. And now… some random photos from the phone! It may not look like progress, but getting to this point is an achievement! 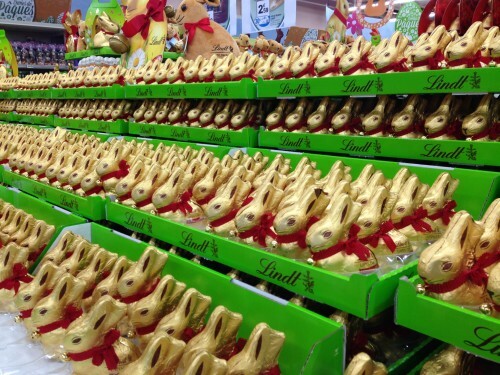 Personally, I find the Lindt bunny display to be a bit intimidating. 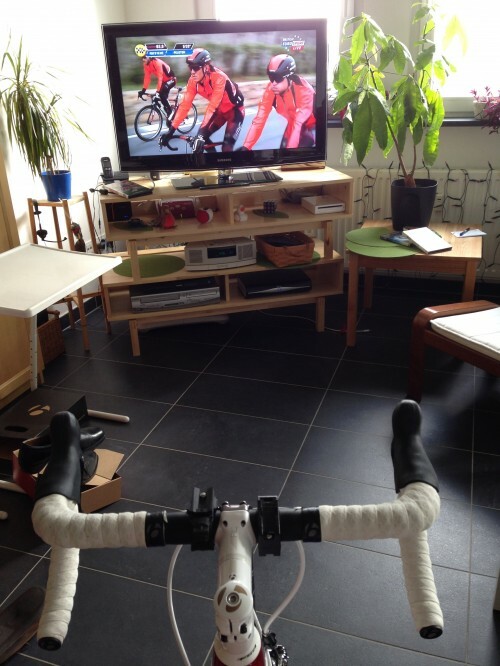 Sometimes in Luxembourg, the only way to get your cycling completed is on the trainer. Thankfully, I can often “ride along” with the professionals. 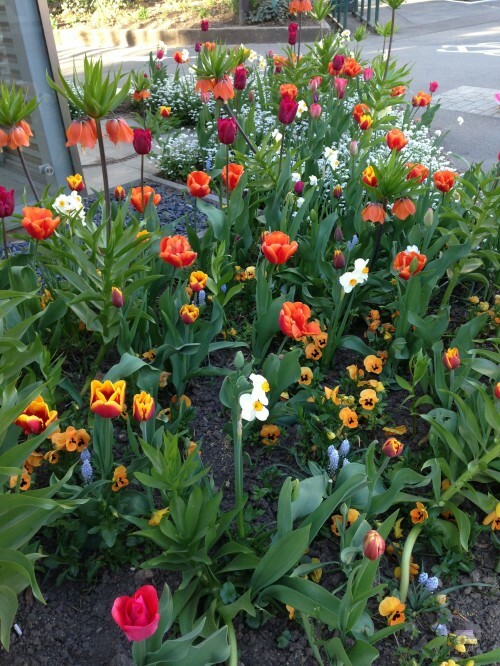 The flowers on my walk to work were especially spectacular this year. 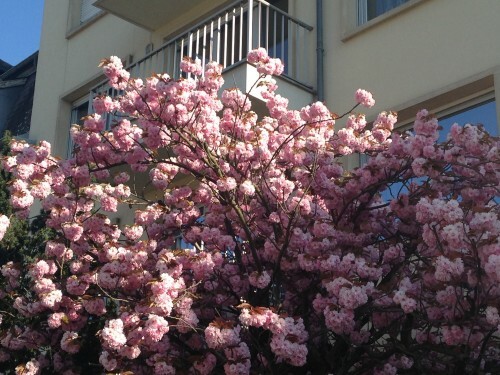 The cherry blossoms never disappoint. And finally…. Miss Hana came to hang out with Will during the day. She has grown up so much since she first stayed with us. Both in size and maturity! Enjoyed the pictures and stories that accompanied them too!!!! It’s nice to read your update and reminisce about fun times in Luxembourg. Thanks for taking time to write it. Hope you guys are doing well!